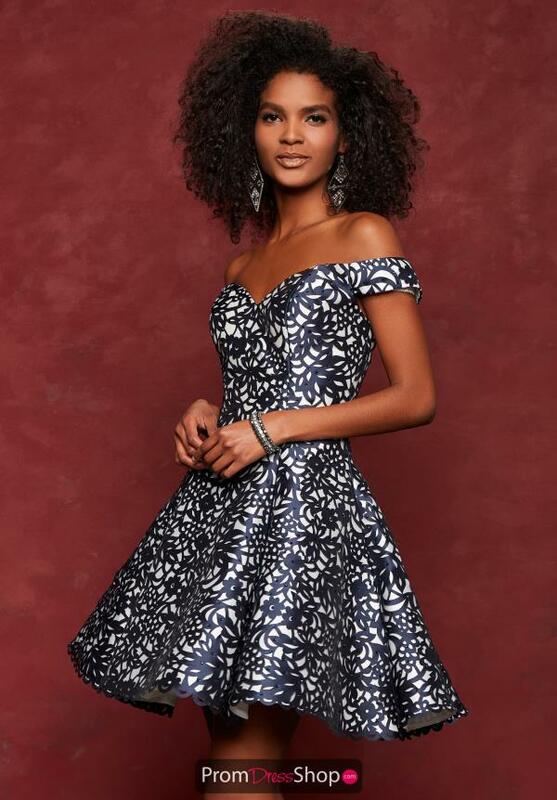 Get ready to dance the night away in this fashion forward dress 3677 by Clarisse. This off the shoulder dress has a sweetheart neckline and cap sleeves. The beautiful Mikado fabric is a sharp floral design with colors that contrast. The princess cut of the dress shapes you beautifully while flowing smoothly from top to bottom without a defined waistline. The A-line skirt of this dress completes the look with a laser cut trim around the hemline.